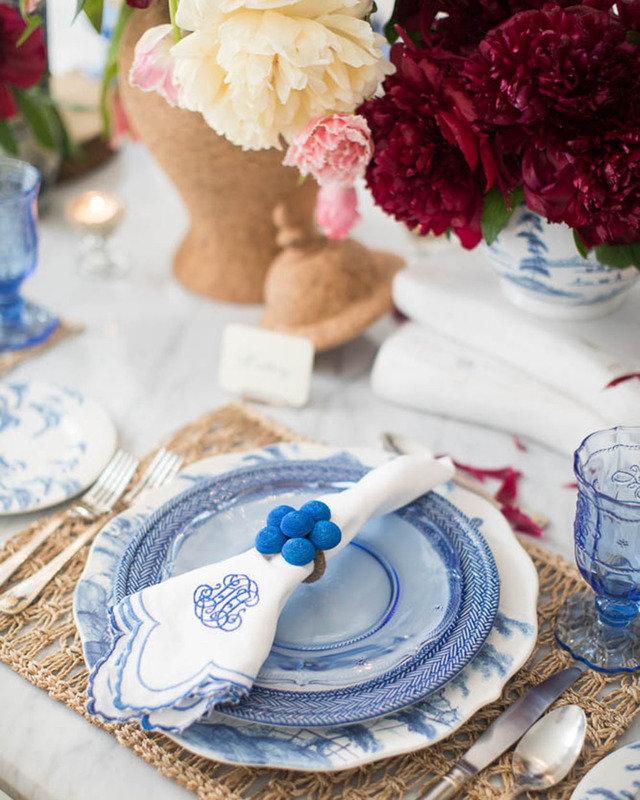 When planning a lovely birthday party for her French husband Justin, Kimberly Schlegel Whitman chose the perfect venue to honor his upbringing: The French Room at luxurious Dallas hotel The Adolphus. Naming the soirée “Frenchie Takes the French Room” – as an ode to his home country where his mother still resides – and hosting it at the upscale restaurant were just a couple of the many surprises for her beloved. Friends and family gathered for the memorable evening filled with great wine, wonderful conversation, and delectable dishes. 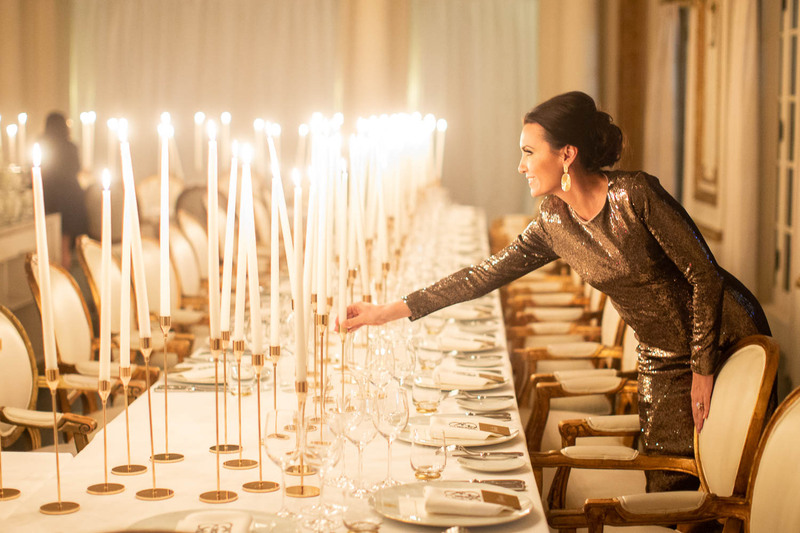 The beautiful setting, which features timeless European architecture, a honed marble floor, and Italian Murano glass chandeliers, was enhanced for the special dinner party. Tables were arranged in a U-formation and guests found their seats at gilded Louis XVI-style chairs. 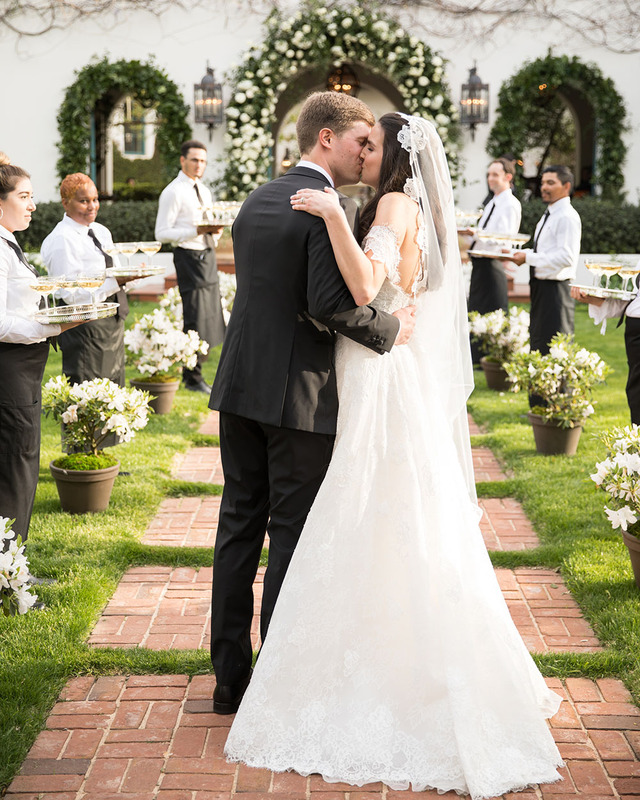 In lieu of florals, tables were decorated with towering taper candles that provided an elegant ambience, and ivory hydrangea arrangements were displayed on a table in the center of the room. Each guest’s place setting showcased monogrammed napkins and gilt place cards emblazoned with alabaster calligraphy. In lieu of florals, tables were decorated with towering taper candles that provided an elegant ambience, and ivory hydrangea arrangements were displayed on a table in the center of the room. The evening was spent celebrating Justin’s birthday as he, his wife, and his friends and family shared a memorable meal together in one of the finest establishments in Dallas – bringing a bit of French flair to his new home and family.